Guatemala: A Journey Through the Land of the Maya invites you to jump on one of the country s brightly painted chicken buses and visit its bustling marketplaces, Mayan monuments, colonial town squares, and whitewashed churches, where baroque Catholic rituals meld with ancient Mayan beliefs to create a unique style of worship. 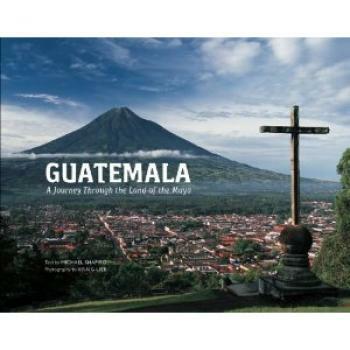 From the incense-shrouded devotional processions of Antigua to raucous festivals in remote highland villages, Guatemala: A Journey Through the Land of the Maya takes you on a illuminating ride through the world of an exuberant people and their country. With images by acclaimed Lonely Planet photographer Kraig Lieb and essays by award-winning author Michael Shapiro, this book celebrates the spirited Mayan people of Guatemala, their brilliantly colored textiles and their reverence for tradition. Guatemala: A Journey Through the Land of the Maya brings to life the land of this Central American country with captivating photos of Lake AtitlÃ¡n, riveting images of smoldering volcanoes, and soul-stirring pictures of the towering Tikal ruins in the PetÃ©n jungle where Mayan civilization reached its height more than a millennium ago. Lieb and Shapiro, who have returned time and again to Guatemala over the past two decades, display a deep respect for the Mayan people. Their appreciation of Guatemala and its resilient inhabitants enlivens every chapter. Guatemala: A Journey Through the Land of the Maya evokes the country so compellingly that it will carry you back to this remarkable place for many years to come.